Argentinean born Ignacio Longo is Vice President and one of the principal designers at Spectrasonics. As a sound artist, Ignacio has a signature sound and has created thousands of sounds that are used daily by music creators all over the world in the award-winning Stylus RMX, Trilian, Omnisphere and Keyscape virtual instruments. 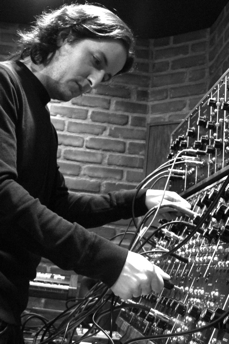 Ignacio became interested in synthesizers and computer music as a child while studying classical piano. After years in the conservatory and working as a pianist/keyboardist in the local Buenos Aires scene, he earned a scholarship to attend the Berklee College of Music where he graduated in Composition and Music Synthesis. After graduating he moved to the Los Angeles area where his diverse music interests took him to produce and remix several artists, participate in film scores and work as a programmer for Roland. Ignacio wrote the music "Liliana's Theme" for the Oscar-winning Best Foreign Film "The Secret in Their Eyes" which was also used in the Academy Awards ceremony.